The classic image of Christmas is one of collective happiness. The family all together under one roof, cherishing some rare family time. The rustle of wrapping paper from presents, the smell of turkey and stuffing and smiles all around. However, the truth is often more nuanced than this. For some people, Christmas time brings about immense feelings of grief and of loss that are only compounded by the onset of festive music, advertising and images of happy families that are found in abundance at this time of year. If you have recently lost a loved one, lost someone around Christmas time in the past or simply find the festive season difficult then Christmas can be a sorrowful time. But how do we address these difficult feelings? One common way is to isolate ourselves away, spending the day alone, self-medicating with too much alcohol, or spending only the bare minimum amount of time in social situations. It’s easy for depression to creep in too. Looking around the room you might think that everyone is having a great time apart from you. Or you may struggle to handle the gap between how you think your family Christmas should be and how it actually appears in that moment. It’s important to remember that no Christmas day is perfect. The movies and advertising you see on TV are a sanitized version of the day that in truth, doesn’t exist. We’ve all burned the turkey once or twice and the average family in the UK is said to have as many as five arguments on Christmas Day. Perfection is rarely obtainable. Equally, there may be others around the table who are also feeling a loss this Christmas. This is where communication is key. Talking to your loved ones and letting them know that you might find the day difficult, or that you are feeling emotional can help you to process your own feelings in a natural and helpful way. Talk, laugh or cry if you need to, and if you are really struggling then seek advice from a professional grief counselor or group class. 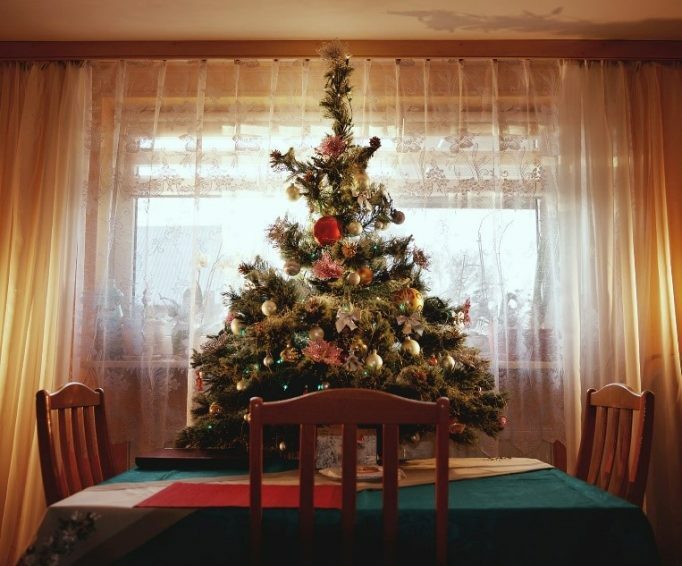 A key trigger of sadness at Christmas can be the loss of family traditions that your loved one was involved with like cutting the turkey or decorating the tree. In the same way that you can combat loneliness and isolation by spending time with and talking to others, you can tackle grief by embracing those same traditions and continuing them for years to come. So, grab the knife and carve the turkey yourself, perhaps raising a glass to those who couldn’t be there this Christmas.